Looking to replace my CAR400 (alright I've had the car over a year and not done it yet!) but i'm on a bit of a budget, so looking for something reasonable, with multichanger and all adapters (MID, steering controls) at lowest cast! Just need patience so you'll get the right one. 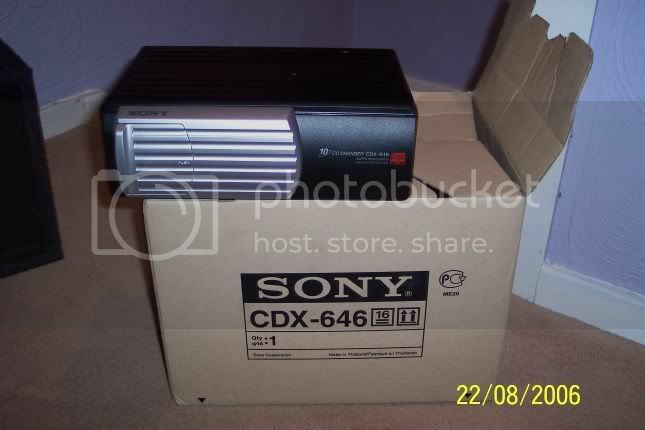 I got a Sony CD changer for £30 and a COnnects2 display driver for £20 or so. For a decent new unit, you really need to pay around £150-£200. Otherwise, as suggested, Ebay is the place. 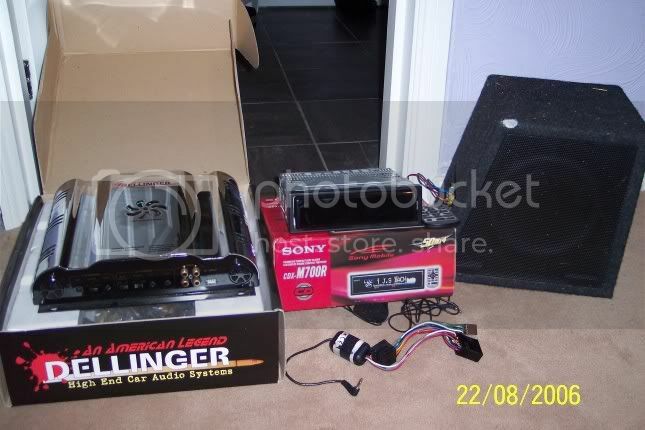 4 channel amp for the door speakers plus a sub......to be honest I would do this first off becuase the week point in the original head units are the amps and if not driven hard (i.e. into a high resistance amp) they sound better. Its a sony CDX-M700R head unit, active black so it looks like a blank panel when off, it has pre-outs for front and rear spaekers as well as separate sub out so you can adjust the 'volume' of the sub/ front and rear speakers without a separate gain control, it will also run MD or CD changer. I also have the traffic master adaptor if you want it. Ive also got the full display adaptor. Its a soundlinks VAU01DS (DOPS002/ DOPS003) which can be thrown in but i dont know if this will work as i havent tried it and its the wrong one if youve got the ccrt700 phone headunit. If you're on a budget, forget the adaptors! Start with a good MP3 headunit and later add four channel amp driving all speakers, finally, use the rear amp channels, bridged, to power a sub instead of the rear speakers. For good opinions on current kit, go here. Edit. Headunits. At around £200, I'd go for Alpine or Pioneer. Completely agree with Hillper (as usual). Stop worrying about adaptors right now and concentrate on a decent headunit. Go for an MP3 headunit and make sure it has 3 sets of pre-outs. I would say look at what is available second hand. There are some fantastic units available. If you can find one, get the Pioneer DEH-P8600MP or the DEH-P77MP both superb units. Bah all very well saying forget the adaptors, but I like my display!!!! ok, had a fresh look around now following your helpful information. Looks Like I will be doing this in stages now, mainly so the missus doesn't find out how much it's gonna cost! Bearing in mind you can have the full set up as above for little more than the cost of a new head unit, you pays your money you takes your choice. Having been through Kenwood and had friends use Pioneer stuff id say theare definately no better than high end Sony equiptment, but each to their own i guess, as a crap pair of speakers can make a good headunit sound rubbish. I did mine in stages. It took nearly 18 months in total. I'd have either of the Alpines. Both seem good. But not sure how well the glidetouch bar works on the '53. Which is better looking is a personal thing. Bit too flashy for me! Phil. You're right, high end Sony stuff is as good as normal Kenwood, Pioneer or Alpine gear! Actually, ten years ago, high end Sony gear was amonst the best you could buy. But I'm talking about £1000 or more units. They may make a comeback. Some of their latest gear seems good on quality. Can you tell me more about that Dellinger amp? And I agree about speakers. They are the point in the system which can make the biggest difference in sound. Luckily, standard Omega speakers are very good. Especially when amped.